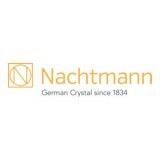 Almost 180 years of experience, skill and tradition has gone into the creation of this high-quality Nachtmann glassware. Representing the best of "Made in Germany", it reflects our enduring commitment to the craft of making fine Bavarian crystal and lead crystal glass. Sparkling since 1834, we aim to bring a little luxury and brilliance to modern-day life.